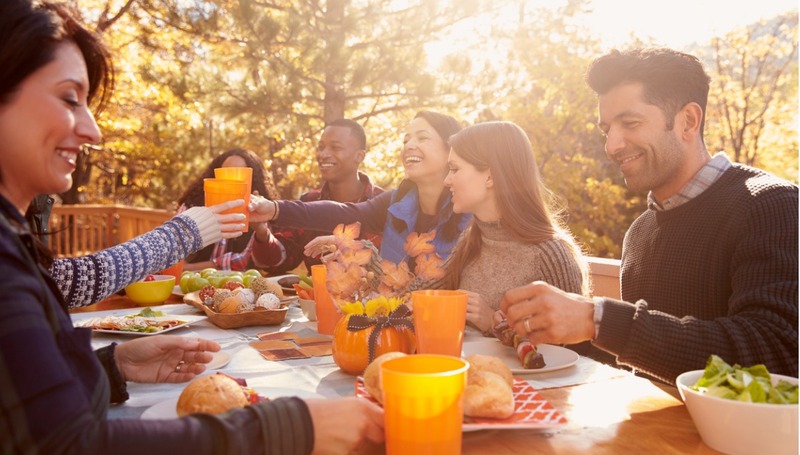 At the first sign of a drop in summer temperatures, it might be a natural inclination to want to consume all things Pumpkin Spice, but all that added sugar won’t keep the cold at bay when the fall leaves begin to turn. The autumn harvest that occurs between September and November brings a bounty of seasonal superfoods that provide both nutrition and a festive fall flare to your diet. And if you procure your produce locally, you have the added benefit of cutting your carbon footprint, and depending on where you live, supporting local farmers. What’s not to love? Here are six seasonal superfoods that should be taking a page in your recipe book and have you reaching for seconds at the dinner table. It’s no surprise that these delectable fruits made the list – when something this good for you tastes as amazing as it does, its versatility shines through. Whether you eat it plain or in a pan of warm apple crisp, apples are an antioxidants powerhouse, able to reduce the risk of diseases like cancer and Alzheimer’s. But that’s not all. The age-old adage of “An apple a day keeps the doctor away” holds a lot of truth, in more ways than one. The U.S. Apple Association shares more information on health benefits, fun recipes, and more. Check in with your local orchard community to see what apple types are currently in season, as some varieties have higher concentrations of phenolics and flavonoids than others. Either way, apples are a fall staple that are just as satisfying in baked goods as they are on their own. An obvious but important inclusion on this list, squash (including pumpkins) aren’t merely for decoration. Pumpkin pies are a common staple at any dessert table, but the rich magnesium and fiber in the seeds can also be a delightful and healthy snack. Squash has made a name for itself as a versatile vegetable, capable of pairing with any dish to bring a bright, flavorful edge. Squash are notorious for holding their fair share of nutrients, and are noted for their massive amounts of vitamin A, vitamin C, vitamin E, vitamin B6, niacin, thiamin, pantothenic acid, and anti-inflammatory/antioxidant compounds. If you’re curious about the benefits of each, here is a helpful guide from Medline Plus that segments vitamins based on the benefit they provide to your body. The types of squash available will vary based on your region and the time of the season you decide to buy them. Sweet potatoes can be either sweet or savory, depending on your preference. Whether dusted in a coating of brown sugar or mashed and served alongside grilled chicken and asparagus, sweet potatoes continue the trend of being high in vitamin B6 (like pumpkins and squash), and have high levels of vitamin C and vitamin D. Sweet potatoes also contain magnesium, potassium, and iron, which promotes healthy immune systems, stress regulation, and regulate essential organs in the body. Roasted, steamed, puréed, grilled or baked, these veggies pack a punch. Not the first veggie on our minds when we think of the autumn harvest, turnips are rich in antioxidants. Our first inclination is to cut off the leafs and get to the ‘root’ of the vegetable, where vast amounts of vitamin C live. However, it’s the greens that contains a vast majority of these valuable vitamins – like vitamin A, vitamin E, manganese and beta-carotene. So, toss the greens into a soup or stew and reap the rewards! Turnips, with their high concentrations of vitamin K, are also great anti-inflammatory vegetables, and are beneficial to combatting attacks on your immune system, all while improving your bone, heart, and lung health. Brussel sprouts – the vegetable that everyone loves to hate. They’re known for being bitter, but when prepared properly, they add that extra little crunch. If you overcook them, they lose their nutritional value. Brussel sprouts provide support to three key areas of the body – the body’s detox system, its antioxidant system, and its inflammatory/anti-inflammatory system. They do this by offering excellent amounts of vitamin K, vitamin C, vitamin B6, fiber, folate, manganese, and fiber. Whether served with goat cheese and olive oil or simply with salt and pepper, brussel sprouts can be a nutritious treat. Did you know that cranberries are only one of the three native berries to the United States? Frozen, dried, or fresh, cranberries contain high amounts of antioxidants that repair cell damage done by free radicals in our bodies. Other than tasting amazing alongside your turkey and mashed potatoes, cranberries are rich in vitamin C and fiber, and kick bacteria to the curb with their ability to reduce inflammation and reduce the risk of heart disease. Preparing them with other ingredients for some granola muffins or sauces will satiate your craving, but if you’re not in the mood to bake, a 10-ounce glass of cranberry juice can do just the trick. Dying to try one or all of these seasonal superfoods but aren’t sure where to begin? We’ve selected a few recipes to help get your culinary genius going.